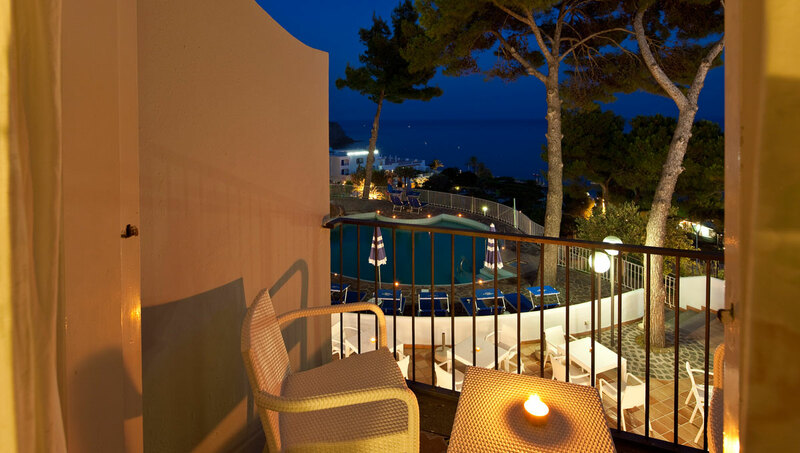 Choose one of our rooms with a sea view with balcony or terrace to enjoy a spellbinding view of Maronti beach in Ischia or of the swimming pool. 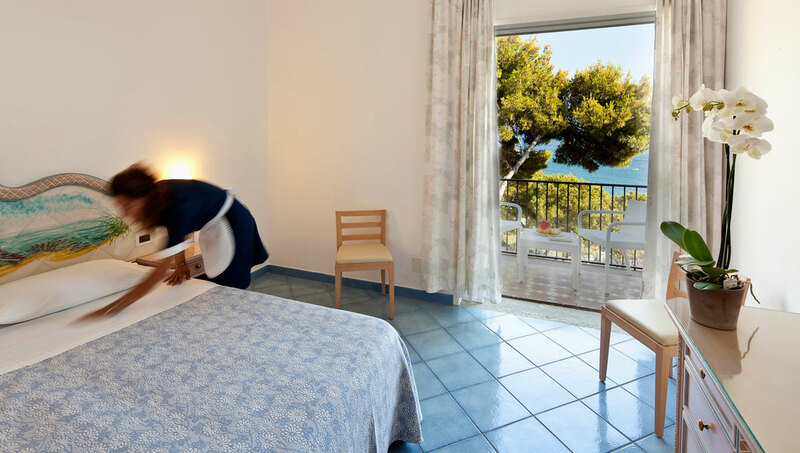 Designed with taste and sophisticated simplicity, they feature a tub or shower, WC, hairdryer, safe, phone, TV-SAT, minibar, air conditioning, and free WiFi. 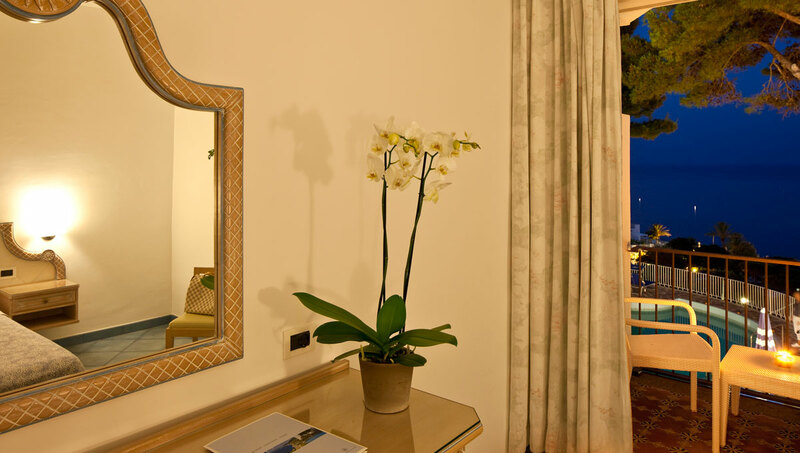 These rooms are perfect for a romantic stay in Ischia and to be close to the beach. Please contact us or calculate on line the rate and know our special offers.